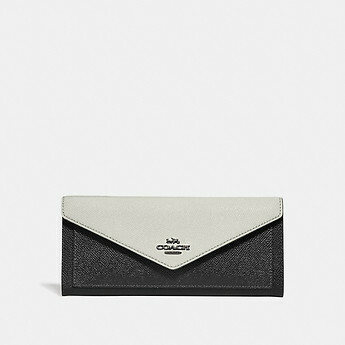 This slim wallet is crafted in colorblock crossgrain leather and features signature Coach hardware. With a full-length bill compartment and eight card slots, it can be tossed in a tote or carried solo as a clutch. I love my wallet and I' buy again. The design is simple but very attractive and my friends always admire my wallet.